I hate exercise. I hate sweating. I hate ruining my hair. None of this is news. But here I am, three days before a race. I know. I don’t even know who I am. So here’s the thing: I think in order for me to get really fit and be at peace with my post-baby body (I love Madelyn, but really? Did she have to vacate and leave her foreclosed home in saggy shambles? ), I have to get serious about cardio and since I’m not joining a gym and I don’t generally like machines, I’m using equipment I already own: my feet. I’ve done wel with with boot camp, losing inches and gaining strength. I think, though, that the added cardio of running homework will be the finishing touch on my healthier lifestyle. I’ve been using RunKeeper on my iPhone to track my runs. I also listen to Howard Stern as I run because, let’s face it, he’s my kind of entertainment, and he’s not as predictable as my own music is. The only necessary tool I’ve been skimping on is my shoes. 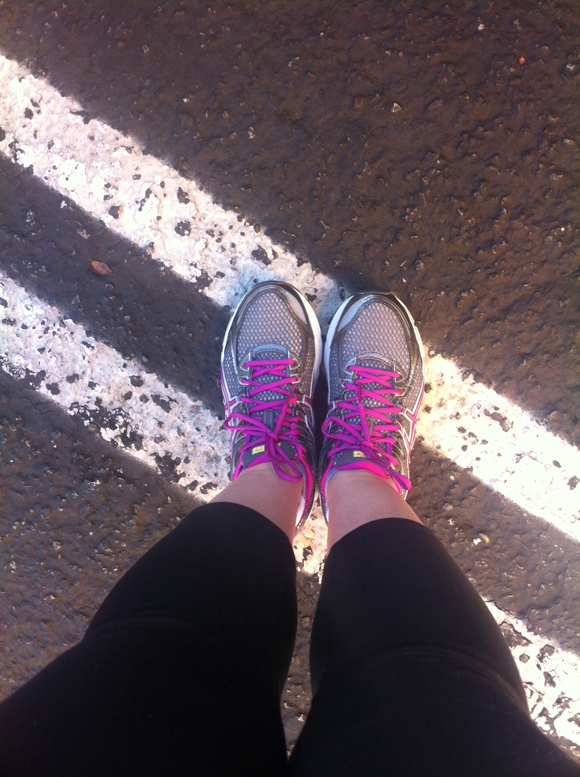 After almost a year of boot camp, I’ve worn out my Saucony shoes that I bought at Marhsalls because they were under $40 and they were pink. Ya know, because those are excellent reasons to buy exercise shoes. Well, they are if you’re not serious about performing and staying healthy! Which I wasn’t… until now. Everyone told me to sign up for a run. I’ve never understood why I’d have to sign up to run when I can run for free on my own. But I wasn’t doing that. So I needed the commitment of knowing I have to show up to an appointment that cost a few handfuls of dollars. 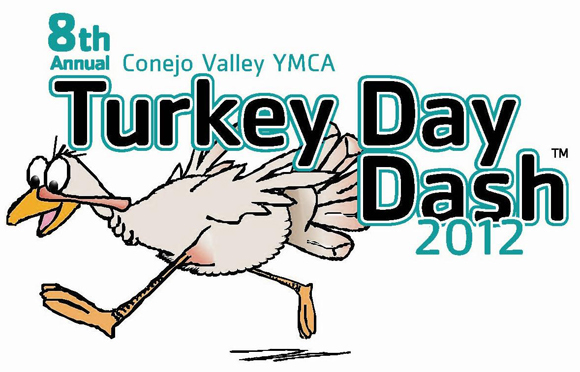 Last night, I signed up for a 5k race on Thanksgiving morning that’s near my house. That’s right. I signed up four days before the run. I’d been thinking about signing up since I heard about it last month, but kept giving myself stupid goals like “If I go a whole day without eating carbs, then I’ll do the Turkey Dash,” or “If I can run a total of ten miles this week, then I’ll do the Turkey Dash,” but I never did any of those goals and I still hadn’t signed up for the Turkey Dash. I think I was afraid to sign up because I didn’t want to risk hurting myself or feeling sick or failing the race. But then I decided that crossing the finish line in any capacity is more than I’ve ever done since I’ve never crossed a finish line before. I plan on crossing that finish line even if it’s with a siren and flashing lights in the back of an ambulance. I decided I wouldn’t worry about my time or my pace. I wouldn’t compare myself to others. I needed go all Nike on myself and just do it. So a few clicks on the web site later, I’m a runner. At boot camp this morning, I ran over a mile, made decent (for me) time, and didn’t feel like 100% crap (maybe just 60%) except for my left second toe which felt like 862% crap. My big toe was rubbing on it and I was starting to swell and blister. If that was only after a mile, I didn’t want to think about the status of my toe after 3.1 miles on Thursday. 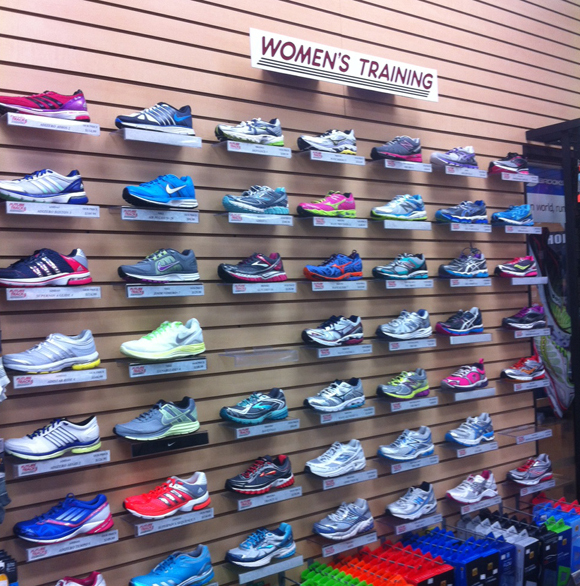 I knew that my pink shoes from Marshalls were to blame so I got myself to an actual running store for thorough measuring and fitting. After a few sample walks and runs, the salesperson analyzed my step and now I have real running shoes that will actually do me favors instead of just look pretty. Good news: They’re good looking too! So now I’ll literally be hot to trot! I’m still nervous about my race, but I’m hoping that I’ll be able to enjoy the experience and allow myself to get addicted like so many others claim after they’ve started running. I guess there are worse things to be addicted to. Like carbs. Oh sweet, sweet carbs. I’m really looking forward to the finish line so I can experience the feeling of completing a race and seeing my two favorite people in the world at the end!